SBIN closed the week on positive note gaining around 9.60%. 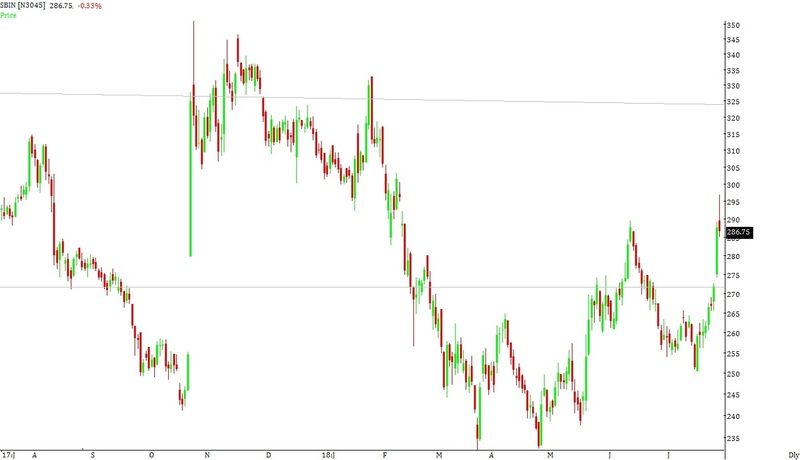 As we have mentioned last week, that minor resistance for the stock lies around 266 to 270. Resistance for the stock lies in the zone of 275 to 280 where long term moving averages and Fibonacci levels are lying. If the stock manages to close above these levels then the stock can move to the levels of 285 to 290 where Fibonacci levels are lying. During the week the stock manages to hit a high of 297 and close the week around the levels of 287. Support for the stock lies in the zone of 275 to 280 where long term moving averages and Fibonacci levels are lying. If the stock manages to close below these levels then the stock can drift to the levels of 265 to 270 where medium term moving averages and Fibonacci levels are lying. Resistance for the stock lies in the zone of 285 to 290 where Fibonacci levels are lying. If the stock manages to close above these levels then the stock can move to the levels of 300 to 305 where Fibonacci levels are lying. Broad range for the stock in the coming week can be 270 to 275 on lower side & 300 to 305 on upper side.